We are thankful for our sponsors who help us make Atlanta Fermentation Fest a wonderful event. Fermentation Fest is on the grounds of the Golda Kombucha brewery. Golda Kombucha is Georgia's First and Finest Kombucha Company, founded in 2013 in Atlanta, GA.
Cathead Vodka is proud to be the first and oldest distillery in the state of Mississippi. 21+ attendees can enjoy their southern inspired spirits inside the Libation Lounge at the 3rd Annual Atlanta Fermentation Festival. Clash Graphics is an Atlanta based print shop conveniently located in midtown. Clash Graphics offers business cards, posters, flyers, banners and more to businnesses across Atlanta. Hop City Craft Beer & Wine opened its doors April 23, 2009 to a great response from the Atlanta community. 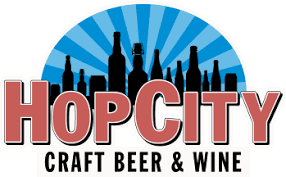 With one of the largest beer selections in the country and a very healthy wine section as well, Hop City is fueled by a passion for great taste. Odditees Printing is an Atlanta based screen printing shop specializing in custom printed T-shirts and Apparel, Graphic Design, and Limited Run Silk Screening. Sherry Bailey is an Atlanta native (a pretty rare find these days) and uses her local knowledge and insight when helping her clients buy a home, sell a house, or invest in real estate. Sherry has always had a love for real estate and interior design and, through a twist of fate and the love and support of her family and friends, finally decided to pursue a career in real estate.